A bill in Congress would reverse the 2017 decision to open the northernmost part of the Arctic National Wildlife Refuge to oil drilling. 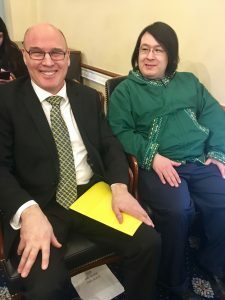 A hearing about it in the U.S. House Tuesday became a debate, sometimes an angry one, over which Alaska Native people should have the ear of Congress. Congressman Don Young told his colleagues not to listen to some of his constituents – the Gwich’in residents of the Interior who had come to testify against drilling in the refuge. Young, Alaska’s sole member of the House, instead pointed to the witnesses from the North Slope, the Inupiat, who favor drilling. Young was born in California, but his first wife was Gwich’in. Unlike the late Lu Young, most Gwich’in leaders ardently oppose oil development in the Arctic Refuge. They say it could disrupt the migration and calving of the Porcupine caribou herd that is central to their culture. “I am here because the elders sent me to be here, so I want to be clear on that,” he said. Alexander also rejected the accusation, made frequently for years, that people like him are traveling the world, living high off of the environmental groups who will pay as long as the Gwich’in keep saying the right lines. Alexander said he paid for his trip with his veteran’s disability pay, and said he’d rather be home with his infant son. 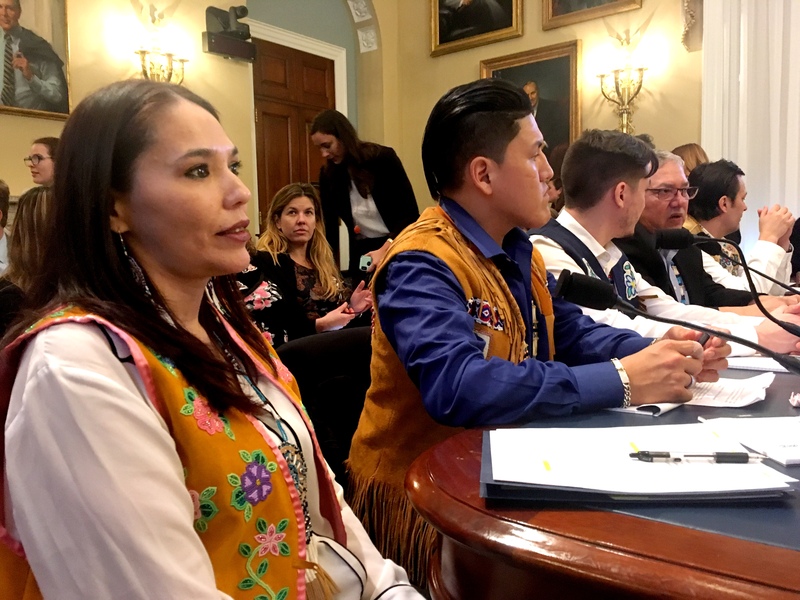 The refuge protection bill, sponsored by Rep. Jared Huffman, D-Calif., cites the caribou and the needs of the Gwich’in. It doesn’t mention the Inupiat people of the Arctic Slope, or Kaktovik, the only village inside the refuge. Their Native corporations would like to drill for oil on land they own that’s bound up in the fight over the refuge. Fenton Rexford of Kaktovik was angry the bill doesn’t even consider the needs and well-being of his people. Rexford says environmental groups and their supporters want to assert their own interests on Kaktovik land. Arctic Slope Regional Corporation Vice President Richard Glenn told the committee oil development has allowed the Inupiat people to continue to practice their culture while also providing warm homes, sanitary water and sewer systems, better education outcomes, good health and substantially longer lives. Kaktovik Tribal Administrator Matthew Rexford seemed to aim his remarks at the authors of the Democratic bill. The witnesses were passionate, but for the Lower 48 Congress members there were hints that it wasn’t so much about the needs of Native people but a proxy war – development vs. environment. One of the biggest hints was the mispronunciations. Words like “Kaktovik,” “Inupiat” and “Tanana” were mangled repeatedly, by members of both parties. The bill to close the refuge to oil drilling could pass the House but has virtually no chance in the Senate. Still, each side says it’s important to make the case, keeping the argument fresh in the minds of their political base.